A new report by the World Tourism Organization (UNWTO), produced in collaboration with UNWTO Affiliate Member globaldit, presents a model for inclusive tourism destinations. ‘Global Report on Inclusive Tourism: Model and success stories” is launched on the occasion of the UN Day 2018 celebration in Madrid, Spain. Modelling inclusive tourism destinations on the capacity of tourism to integrate disadvantaged groups and benefit from its activity, is at the centre of this report. Showcasing how tourism can function as a vehicle for sustainable development, and the reduction of poverty and inequality, in the context of the 2030 Agenda and the 17 Sustainable Development Goals (SDGs). The Model for inclusive tourism destinations presented in this Global Report contributes directly to SDG 8 – Decent work and economic growth and SDG 10 – Reduction of inequalities; but also SDG 5 – Gender equality and SDG 17 – Global partnership for sustainable development. 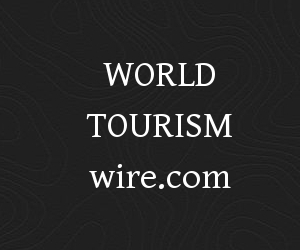 “As globalization, interconnectivity and a growing middle class leads to ever more people travelling, the world will continue seeming to get smaller and inclusion will become even more of a priority,” said UNWTO Secretary-General Zurab Pololikashvili. He added that this publication “will serve as an important tool for the tourism community to create and promote inclusion in destinations, and a valuable reference for all tourism stakeholders in developing best practices for a more inclusive sector”. In addition, this report highlights the need to foster discussion on and examine new approaches to inclusive tourism in order to drive tourism’s long-term sustainability. Various experts from organizations in the field of tourism and the SDGs contributed to this report: the Ashoka Foundation, the Global Sustainable Tourism Council, Google, IE University, PREDIF, the SDG Fund, Airbnb, Vinces, Walhalla DCS and Ekin Consulting. It also features success stories from a variety of stakeholders, such as the Gauteng Tourism Authority, Mekong Tourism Coordinating Office, CENFOTUR, Korea Tourism Organization, VisitScotland, Chemonics and the State of Michoacán, Mexico.